Home › Toys › Animal Planet Grow Eggs- Sea- Hatch And Grow Three Different Super-Sized Ocea.. Animal Planet Grow Eggs- Sea- Hatch And Grow Three Different Super-Sized Ocea.. 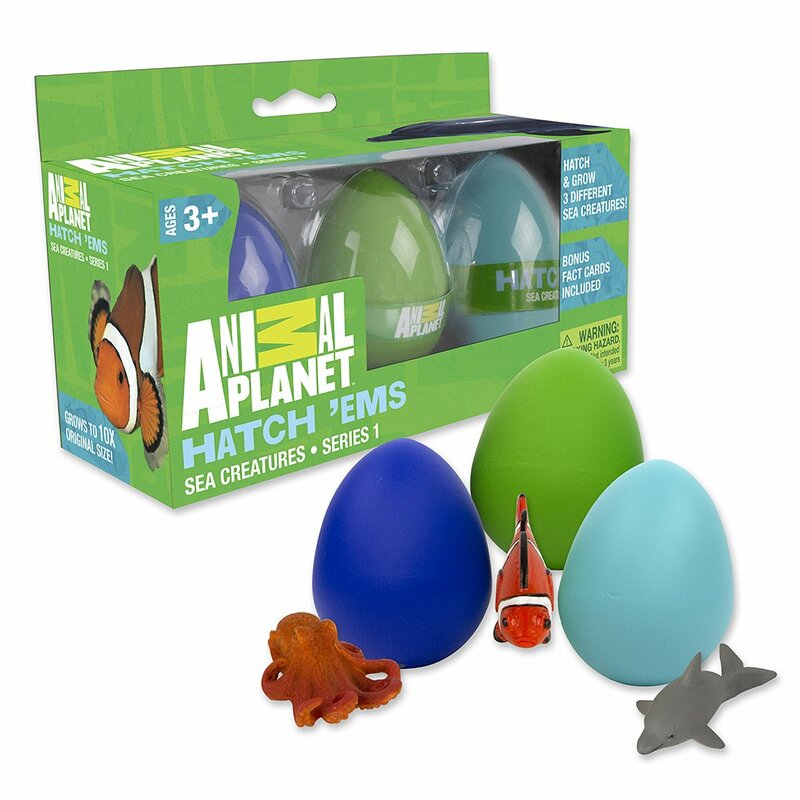 Animal Planet Grow Eggs- Sea- Hatch and Grow Three Different Ocean Animals(Series 1): These magical grow eggs will hatch when you place them and waterand reveal one of three animals: a clownfish, a dolphin, or an octopus. Simplyplace the eggs in water and within 24 hours, they will start to crack. Soonthereafter, within 36-48 hours, your animal will hatch. Take the animal out toplay, or put back in the water to continue growing. Each animal comes with afun fact card to help your child learn about their new pet. Your purchasehelps support R.O.A.R, Animal Planet's project to make the world a betterplace for animals. DIRECTIONS FOR USE: Place Eggs in water. Within 24-36 hoursyour egg will begin to crack. Each day, replace the water. The animal willcontinue to grow out of its shell. You may help your pet out, but it will keepgrowing up to 5-10x its size with or without your help. When the animalhatches, rinse it off as it will be slippery, and either play with it, orplace it back in clean water and watch it continue to grow daily.